Hello lovely nail geeks! Today I’m sharing two beautiful polishes that make up the January duo from Girly Bits! These are already released in her shop, so be sure to check out the links at the end of the post! Red Velvet– a blackened red jelly filled with reflective metallic red micro flakes. Swatches show three coats with topcoat. This beauty has a medium/light formula and built up easily for me. There is a black jelly base and so many red micro flakes that create this incredible depth overall. This is such a sultry color. Depending on application type/nail length, I can see some stopping at two coats. After topcoat I had no texture. After Midnight– a black crelly filled with reflective silver micro glitter. Swatches show two coats with topcoat. This one has a slightly heavier feel, it’s almost felt like applying a pixiedust, as there is a very light texture when you build it up. During topcoat, I went in just a touch heavy and I had no texture. It does dry down matte, so I’d recommend a good glossy topcoat to really seal in and make those glitters sparkle. I absolutely loved this one, the silver glitters remind me of a night sky and twinkle like crazy. Both polishes are available now until February 1st at 11:59pm EDT. 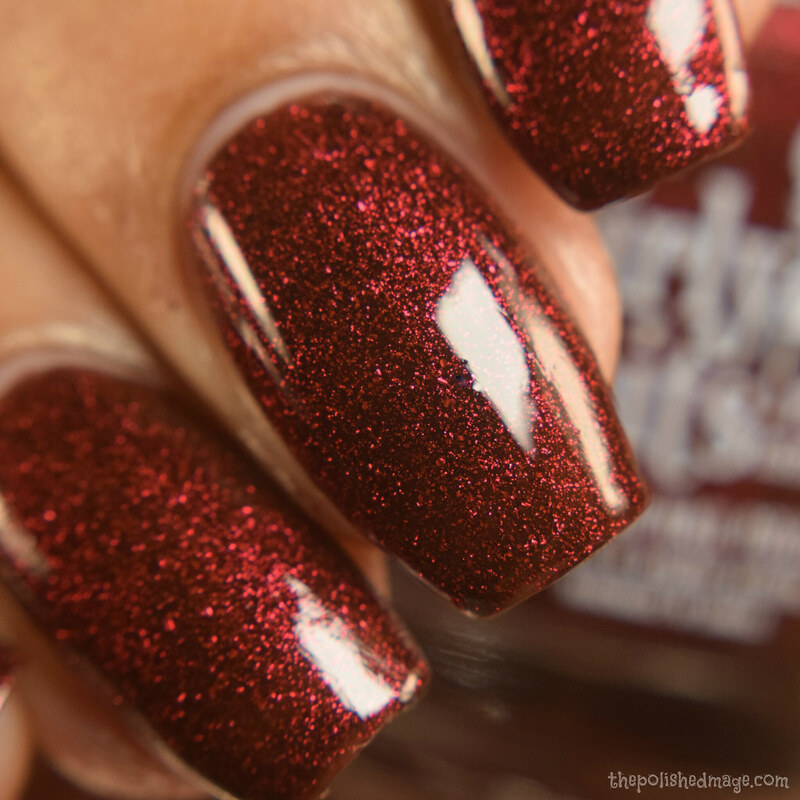 If you purchase early between now and the tenth, the polishes will be $1.50 off each bottle! You can grab them at the shop link below!